Educate for Life (EFL) aims to help the tribal Adivasi community in Rajasthan who are often seen as backward, facing bias and suppression. Infant mortality is high; the entire community lives under the poverty line and government services are scarce. 1) A grant of £6,760 ensures that a class of 25 children are able to attend school for a year. It will cover their school uniform, books, stationery, all their learning resources and a nutritious daily meal. It will enable them to take part in class trips, excursions and workshops as part of our holistic approach to education. All pupils will also receive all their vaccinations and regular health checks. Our funding will also cover their teacher’s salary and their training and professional development. 2) The school currently serves both breakfast and lunch to over 400 students, a food service that has increased nine-fold since the kitchen was first designed and built. A grant of £7,500 would help towards the expansion and upgrade of the school's kitchen infrastructure which, by 2021, will enable the school to serve up to 350,000 meals a year. 3) A grant of £9376 ensures 16 Hunar Ghar students will study further at secondary schools. 4) A grant of £5805 will support the professional development of 27 teachers to teach at Hunar Ghar. 5) A grant of £10,000 will continue to support three important ongoing projects in 2019; their teacher training, the secondary education of some of Hunar Ghar graduates and the school meals programme. 'The funds you have awarded us will continue to support Hunar Ghar graduates who are continuing their education at secondary school. It was great to have the opportunity to share how these students are getting on at the OKA Summer Garden Party. It is wonderful to know that their school fees and accommodation costs for this year are fully funded. The funds will also cover the cost of all Hunar Ghar teacher training experiences this year. We know that our teachers benefit from developing their teaching practice through opportunities provided by our partners. 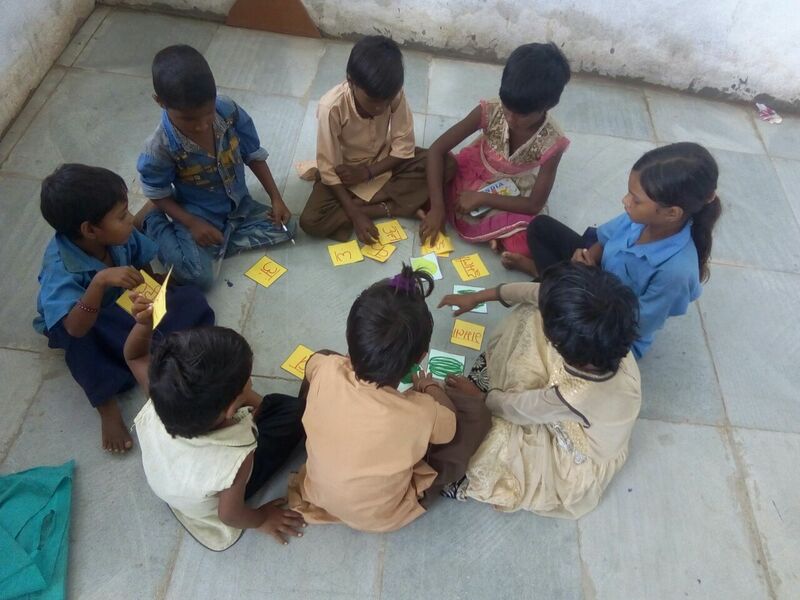 Whilst I was at Hunar Ghar in October, one teacher shared with me how the social and emotional training provided by one of our partners, Apni Shala, helped him see the children more as individuals, each with their own different talents and abilities. The training helped him create space in his classroom for children to speak and share what is happening in their lives and to recognise that just because a child is struggling with one aspect of their learning, there will be other areas in which they can really shine. This focus on valuing children as individuals really permeates the whole school atmosphere. My recent visit to Hunar Ghar was hugely inspirational and a reminder of the very challenging circumstances in which the community live. We spent a night in Bakhel, hosted by a family who gave up their bed and blankets and cooked us a delicious dinner over the fire in their simple home. I was woken in the night by some goats rushing in and they were tethered up next to where we were sleeping. An early morning chai was very much welcomed before we set off for the start of the school day at Hunar Ghar to see the children gathering for morning assembly. I took the attached video showing progress with the new kitchen at Hunar Ghar. There is still outstanding work to be completed, including the plumbing and electrics, but the structure is there and complete and we are pressing our partner as much as we can to ensure that all the remaining work is completed as soon as possible. It continues to be challenging to get contractors to work in Bakhel, due to prejudice many hold against the community who live there. We will get there in the end and are grateful for your patience and understanding. In the meanwhile, I can testify that the food being prepared in the makeshift kitchen is extremely tasty and the team are managing well. During our visit, we spent some time in a couple of nearby government secondary schools. This was a sobering experience. The learning environments were so different to Hunar Ghar. It was very sad to hear children sharing that they had no confidence that they would pass their end of school exams as they lack teachers in the subjects they need to pass. Their life aspirations are therefore very low. We have begun an intervention to tackle this, working with a new partner called Kshamtalaya. We are conscious that as we have increasing numbers of Hunar Ghar graduates, those who do not manage to secure scholarship places at other schools, will end up at these local government schools. We want to raise the standard of education at these schools for Hunar Ghar graduates, but also as part of our commitment to the community where the schools are situated. Our ultimate aim of socio-economic transformation of this area will only be fully achieved if we can help children growing up here to complete their secondary studies so they can make choices about their futures. As Ash mentioned, I spent some time with Bhuri and her class. I don't think I impressed them very much with my frisbee skills...but there was a lot of giggling and it was wonderful to see Bhuri interacting with her classmates and teachers! I was so impressed seeing our community health worker conducting her visits- a UK GP spent 6 weeks working with her last year, and I think her guidance has really boosted the quality of advice and information provided to women. As you may know, our data suggests that there's been a 40% reduction in under -1 mortality in the 4 years since our work began. Similarly, there was a wonderful energy at the school, with lots of beautiful interactions between the children and teachers, including library and sports sessions. Bhuri, whose healthcare you supported last year, also continues to do well and Iona-Jane observed a sports class in which she participated. A grant of £9376 was made to support 16 Hunar Ghar students to study further at secondary schools. A further grant of £5805 was made to support the professional development of 27 teachers to teach at Hunar Ghar. A grant of £7500 was made towards the expansion of the kitchen service infrastructure in 2017. A grant of £6760 was made to provide support as described above to support a class of 25 children. 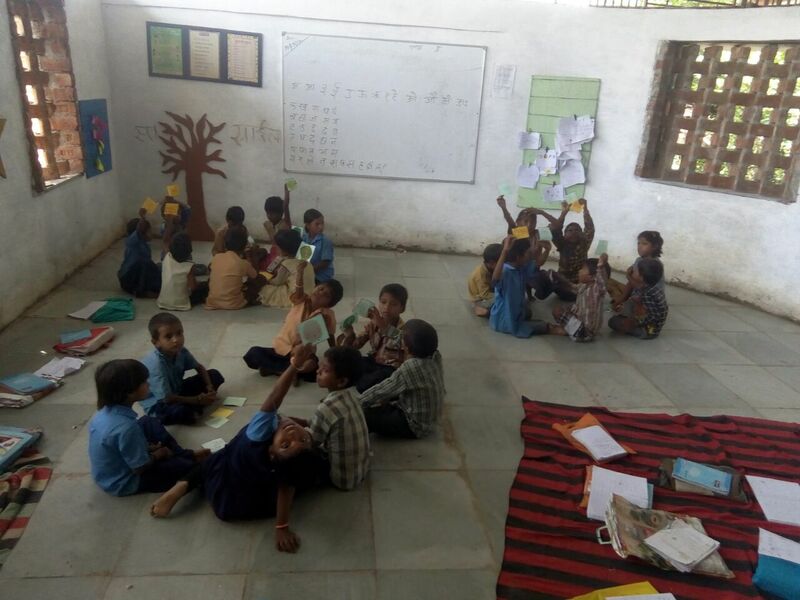 Educate for Life aims to transform one of India’s poorest, most marginalised rural communities in Mandwa Panchayat, near Udaipur in Rajasthan. The tribal Adivasi community it seeks to help are often seen as backward, facing bias and suppression. Infant mortality is high; the entire community lives under the poverty line and government services are scarce. The charity have succeeded in slowly changing the attitudes of parents towards education particularly for girls, reduced child marriages, trained teachers within the village, improved mortality, opportunities, nutrition and health of the entire community. Educate for Life has good sound medium-long term vision - to be successful in their endeavours and be a shining beacon and an inspiration to other rural communities to have similar aspirations.